8 Gladstone is calling your name – that is, if you find yourself to be a connoisseur of West Queen West culture. Why spend so much money on cabs to and from the hot spots when you can be just steps away from your favourite watering hole, cinema or music gig? With suites ranging from 510 to 1,212 sq. 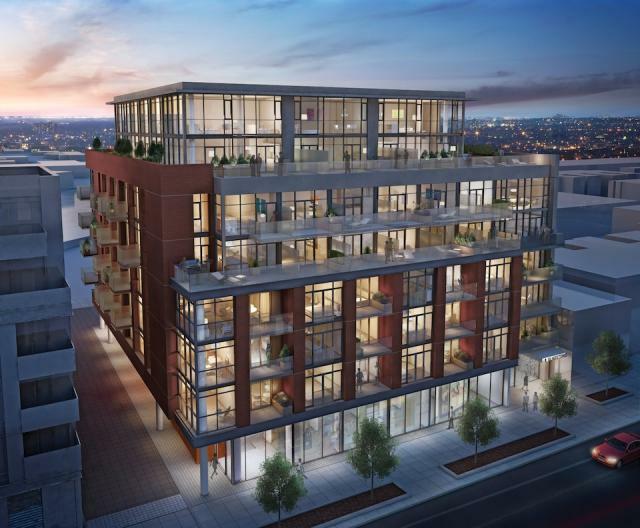 ft. and beginning in the low $200,000’s, this boutique condo development is ideal for anyone who already loves the neighbourhood and is ready to take that next step towards ownership. The eight-storey building promises to be a hip community all its own – but one with all the modern amenities including a multipurpose room for entertaining, a pet spa, an onsite auto share, a gym, and a site-specific bike share program, as well as the greatest amenity of all – the neighbourhood itself.